CFO Marc Whitten has confirmed that Microsoft Points will be converted to real world currency with the next Xbox 360 update. Maybe it's just a sign that we need to expand our social circle, but we can't think of a single person off the top of our collective head that's ever really liked Xbox Marketplace's use of points. They've always just struck as one of those things that adds an unnecessary layer of complexity to the purchasing process, whereas a price tag made up of dollars and cents would be self explanatory. Mercifully, it was confirmed at this year's E3 that Microsoft had finally made the decision to kill Microsoft Points and convert them into real world currencies. Now, Marc Whitten, chief product officer for the Xbox One, has revealed that the demise of the Microsoft Point is coming sooner rather than later. In a recent post on the official Xbox website, Whitten confirmed that the changeover was coming with the next Xbox 360 update. 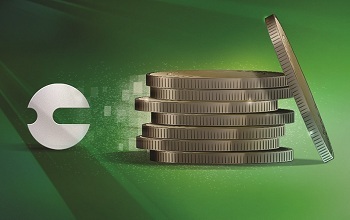 "After the next Xbox 360 system update, when you go to buy something or redeem a Microsoft Points card or code on your console with your Microsoft account, we'll add to your account an amount of currency equal to or greater than the Xbox Marketplace value of your Microsoft Points, which will be retired," explained Whitten. Purchases on the Xbox Marketplace will, in turn, "be faster and easier than ever." The currency involved in the conversion will, of course, be dependent on the home region of each individual player. While Microsoft Points will disappear with the next update, Microsoft Points cards will linger on until the company produces and distributes replacement cards that use actual currencies. Players who redeem Points cards after the update will simply receive the equivalent amount of money. The new Xbox Gift Cards will become available in late 2013.